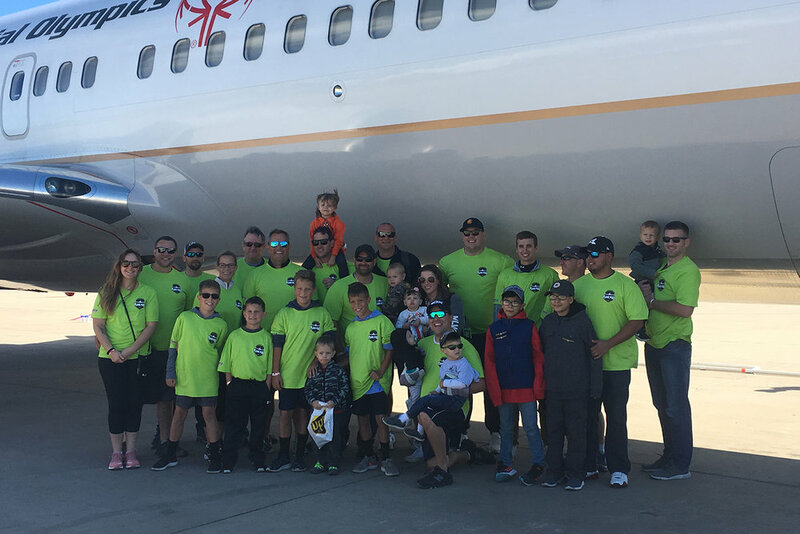 A team from Aldridge represented at the recent Plane Pull event, an ultimate tug-of-war competition as teams compete to pull an aircraft 12 feet as quickly as possible. Almost 100 teams participated in the 10th Annual Law Enforcement Torch Run Plane Pull at O’Hare International Airport. The teams battled an aircraft weighing nearly 90 tons! Together they raised nearly $190,000 for the athletes of Special Olympics Illinois. All proceeds that were collected will directly benefit the more than 22,000 traditional athletes and more than 20,000 young athletes (ages 2-7) that currently participate with Special Olympics Illinois. Learn more about Aldridge’s year-round community participation here.